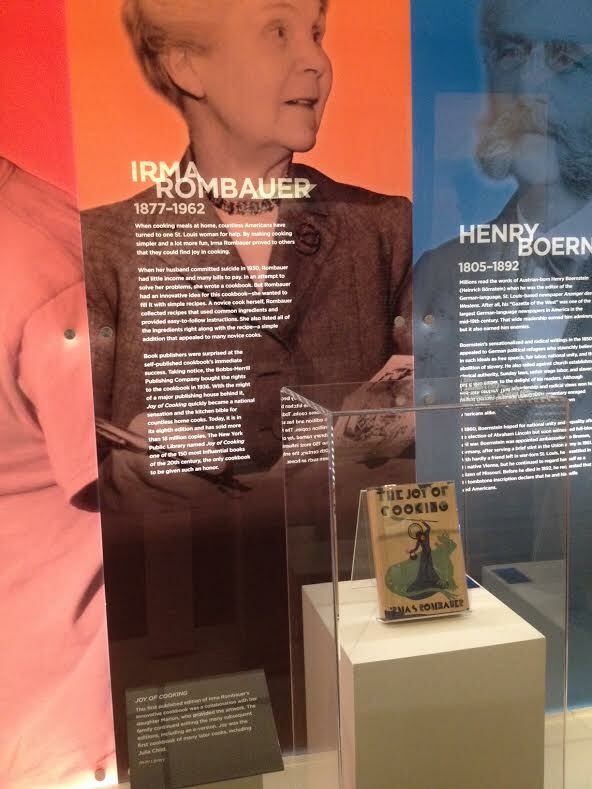 Part of the 250 exhibit at the museum which I mentioned yesterday highlights famous people and historians from St. Louis. 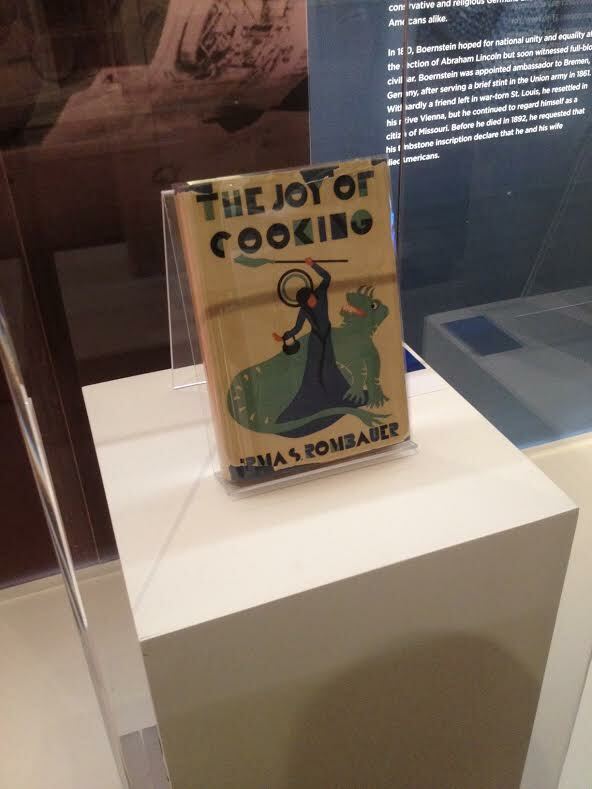 One of them was Irma Rombauer, who wrote and self-published The Joy of Cooking, now in it’s 75th anniversary printing. Check out the bizarre front cover of this first edition on display below. It’s funny because self published books today are still poked fun at for their often horrible book covers. If any of my books lived to see 75 years in print, I wouldn’t care what was on the cover!